"a HTTP standard response code indicating that the client was able to communicate with the server but either the server could not find what was requested, or it was configured not to fulfill the request and did not reveal the reason why. 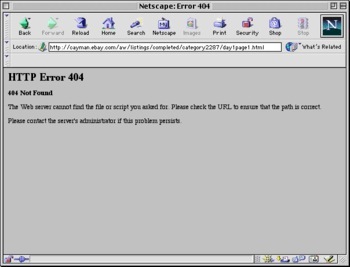 404 errors should not be confused with "server not found" or similar errors, in which a connection to the destination server could not be made at all." 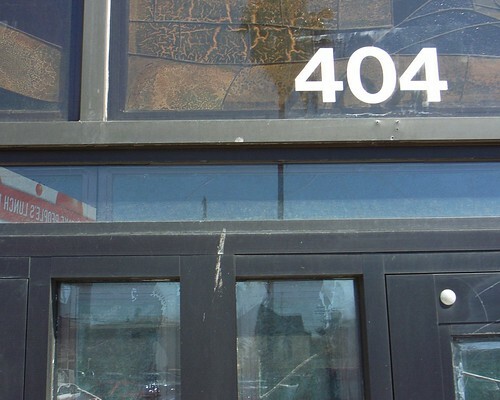 A time when information superhighways were full of dead-ends and wrong-ways... People were given means to circulate (through URLs addresses, Web directories and then search engines) but these tools could also be misleading... and lead to Error 404. It's less usual now, and web folks have learn to create user-friendly 404-pages. Is there a physical equivalent to 404? What would be a "404 error" when wandering on the streets (or in the countryside)? A mistake where "you don't find what you looked for/requested". Why do I blog this? thinking about translations of practices and rituals from the digital to the physical.